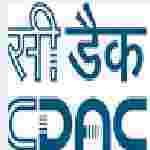 Andhra Pradesh CDAC Project officer recruitment 2016-17 apply for 11 posts : Centre for development of advanced Computing (C-DAC) Thiruvananthapuram welcomes application for the position of 11 Project Associate, project officer and project engineer on contractual basis. Applicants may appear walk – in – interview on 4th July 2016.Candidates who completed their BE, B.Tech, MCA,PG degree is a good opportunity.The individuals who are the occupation seekers searching for govt employments in Andhra Pradesh this is the best chance to apply. Competitors read the official notification then read all the guidelines and miners precisely then apply before the last date online application got. All the interested and eligible candidates can apply before 10th August 2016. Candidates Age Limit: The age of the candidate should not below 32years. The age of the applicant should be as on 1st April 2016. Academic Qualification Details: Candidates should have first class BE / B.Tech or equivalent degree in computer science / information technology / electrical and electronics / electronics and communication or DOEACC “B” level or post – graduation degree in computer science / information technology / electronics and communication engineering or relevant domain. Academic Qualification Details: Candidates should have first class BE / B.Tech or equivalent degree in computer science / information technology / electrical and electronics / electronics and communication / MCA or DOEACC “C” level. Process of applying for the job: Candidates may apply in prescribed application form along with self – attested copies of relevant documents / experience certificate and passport size photograph send to the Human resource department, Centre for development of advanced computing, plot No 6 and 7,hardware park, Sy No 1/1, Srisailam highway, PahadiShareef via Kashavagiri (Post), Hyderabad:- 500005 on or before 10th August 2016.